Here we go again – another #winechat experience. Lots of wines and lots of talking – with your fingers. 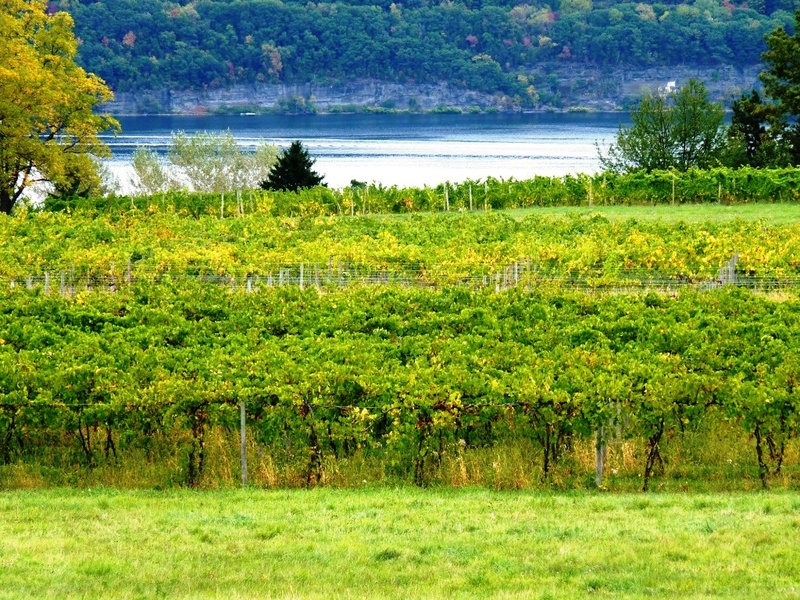 The subject of this #winechat – wines of Finger Lakes region in New York. Finger Lakes is a picturesque area in the upstate New York, very close to Canada, consisting of multiple lakes – technically, Finger Lakes consists of 11 lakes, but most of the people will be able to name only 3 or 4. Outside of being a popular tourist destination, Finger Lakes is actually one of the very first wine making areas in the US – the first winery was established in 1836, and by now the region has well over a hundred wineries. Despite such a long history, the wines of the Finger Lakes region are still considered up and coming. 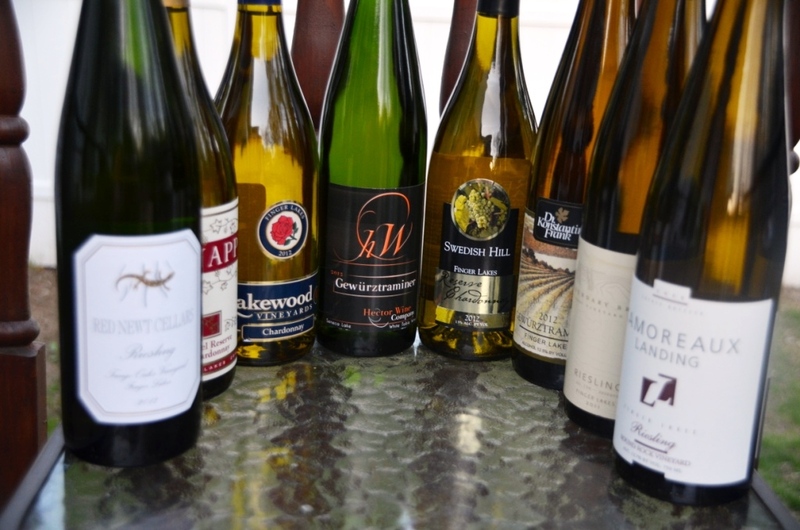 For the most of the cases, consumers might be familiar with Finger Lakes Riesling, a bit of Gewurztraminer and some of the Icewine, with the Finger Lakes wines mostly available only in New York and some of the neighboring states. As of late ( last 2-3 years) the situation is slowly changing for the better, both in regards to quality and availability of the Finger Lakes wines. It is also important to note that the improvements I’m talking about concern both white and red wines, with the wineries such as Fox Run, Ravines and Charles Fournier delivering full spectrum of wines worth drinking and talking about. When I got a note about #winechat dedicated to the Finger Lakes wines, I was hesitant at first regarding my participation. The reason was simple. Yes, the quality of the Finger Lakes wines is improving. However, about 4 years ago, when my daughter was going to Ithaca college, located right by the Seneca lake, I visited few of the nearby wineries, and was quite disappointed with the wines I tasted. Therefore, the prospective of tasting bunch of wines and not being able to write anything about them, was rather daunting. After the internal back and forth, I decided okay, let’s give it a try, and signed up for the #winechat. A few weeks later, the box arrived, containing the 8 bottles – 3 different Rieslings, 3 Chardonnays and 2 Gewurztraminer. From the whole set, I only recognized the name of Dr. Konstantin Frank as a producer I heard of before ( I never tried Gewurztraminer which was included in the tasting set). About a week later, it was the time to taste the wines. I freed up the space in the fridge and put all the bottles in to get them ready. Talking about an “interesting experience”, let me explain what I mean (yes, I know – somehow, when you read “interesting”, you don’t expect anything good). The #winechat usually starts at 9 PM. But of course it would be quite challenging to taste 8 wines in the real time, take notes, and support many simultaneous “finger” conversations at the same time. Therefore, I decided to start an hour before, so I would have enough time to taste all the wines in the thoughtful fashion. I invited my friend Zak to share the tasting with me. We started from the Rieslings, then moved on to Chardonnays, and finished with Gewurztraminers. 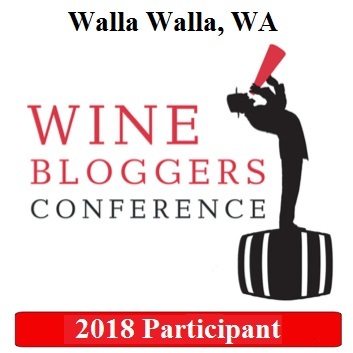 The first Riesling was okay, but then everything went downhill – the wines were simply from the series “nothing to write home about”, with the exception of Dr. Konstantin Frank Gewurztraminer – that was one and only highlight of the tasting. We kept looking at each other with Zak in disbelief, as this was definitely not expected from the set specially selected for the tasting. Needless to say, at the end of the tasting (I managed to participate in the chat, albeit not as enthusiastically as I normally would), I was rather disappointed. And I had 8 wines to finish or dump. What I decided to do, is to put them aside, and give them another chance, one by one. I used the gas canister (not sure I had much gas left though) to replace the air in all the bottles and put the corks back. One bottle went into the fridge, and the rest were standing, waiting for their term. Now, for the really interesting part. The next day or a few days later, all, yes all the wines (okay, exclude Dr. Konstantin Frank from here, as it was good from the beginning) tasted better! I couldn’t believe it, and I couldn’t understand it – but they did. Better fruit, better balance, softer, smoother – all of them. Well, thinking about it, the Rieslings only improved a little bit or not at all, but the improvement was very noticeable for all Chardonnay wines. Giving it another thought, I think I’m finally starting to “get it”. When I open a bottle of wine, taste it and decide that it is not ready because it is too tight and closed, I’m generally not surprised, I ofthen expect it, and I put it aside to give a day or a few to open up without any commotion. In case of this Finger Lakes tasting, I had multiple wines opened at the same time, and especially all of the Chardonnays had the nice oak treatment, thus required time to open up – this is not my typical case, hence the issues I had. So bottom line is that I was [again] humbled around wine, and still have lots to learn. Well, not the worst problem to have in life, isn’t it? I will let you decide how “interesting” my experience was. Below you will find tasting notes, both the initial ones, and those I added after re-tasting the wines in a few days. P: Initially: high acidity, not enough fruit, tropical fruit, mango; 2/3 days later: white flowers, hint of sweetness on the palate with nice acidity and addition of minerality. P: Initial: white fruit with grassy notes, minerality; Later on: a distant hint of Petrol, clean and fresh acidity, elegant, well balanced. N: Petrol (hint of)! white fruit, apricot, honeysuckle. N: Initially: closed, practically nothing. Later on: nice apple notes, touch of vanilla, pleasant and inviting. N: Initially: minerality, pretty closed otherwise. 3 days later: very classic nose, with vanilla and toasted oak, nice and clean. P: Initially: flat, malolactic obvious, touch of vanilla. After 3 days: excellent flavor concentration, good acidity, butter and vanilla, medium to full body, good balance. P: Initial: oak, vanilla, flat, needs more acidity fruit, opened up reasonably , improved with time, butterscotch, still needs more acidity; 3 days later: great concentration of vanilla, apple and butter, nicely balanced with very persistent depth. N: Initial: Beautiful, concentrated fruit; Later: Very pleasant nose of tropical fruit with some spiciness – guava, mango. P: Initial: Lots of green notes, bitter, biting, not balanced. After 3 days: bitterness subsided, with only a hint left. There you have it, my friends. To tell you the truth, I had a different take on the events in the tasting initially, but I’m glad I was able to figure it all out. And this story did have happy ending, as practically all the wines showed very well. Lessons learned – be humble, and give your wines a chance [to breathe]. Before we part, I would like to thank Finger Lakes Wine Alliance for providing the sample for review. Cheers! 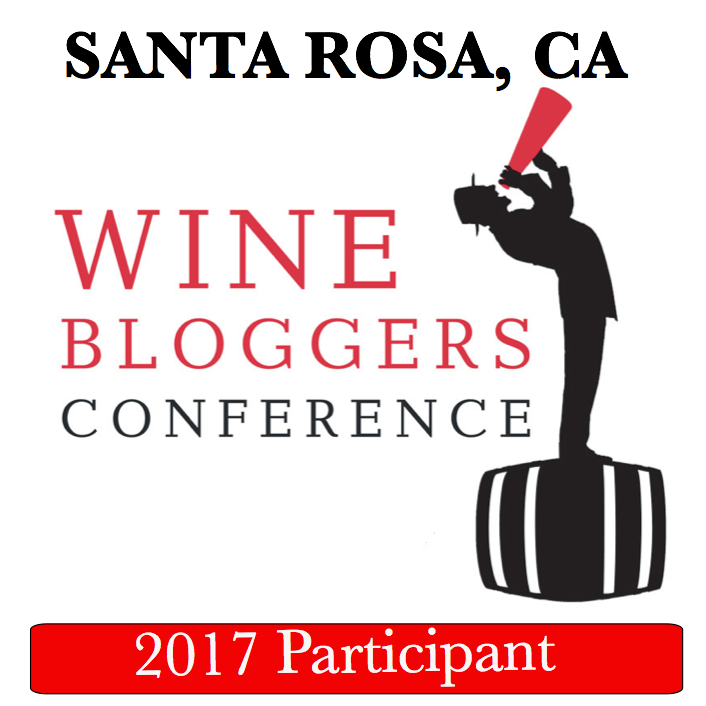 I was lucky enough to be included in TheWineGetter’s #winechat tasting. I also didn’t have high hopes going into the evening, given what I know about Western NY wines in general. While I don’t think I would necessarily seek any out, I did put a star next to the Swedish Hill Reserve Chard, so I must’ve enjoyed it (I didn’t take any full-blown notes). And I would be happy to go on winery visits and tastings if I were back in the area in the future, knowing a little bit more about what to steer towards. definitely was an interesting experience – and also educational!